Opera Mail to Outlook tool not only migrate opera to ms outlook, but it can export Opera mail to other 6+ format as well. Download and Install Opera Mail to Outlook Migrator, select the option accordingly. Create a New Collection : For the making of new data file. Open Recent Collection : For viewing the earlier created file. When you select an option for Creating New collection, enter the essential details, and click on the button of Add to save details of collection. After creation of new collection, select source file type as Opera Mail. Then, select mode to browse the data file from machine’s saved location and Click Add. Single File Mode : With this option, you can add an individual file at a time. Bulk Mode: Select this option if you can merge multiple files at once. Find Option: Thorough Search option, you can choose the number of email file types by pressing on search option. Opera Mail to Outlook Converter software begins with file scanning with count email count. Recursive listing of Opera Mail files are done after successful scanning. Now, select the desired emails to export data files. Finally, choose the PST file from the given default data files. Choose the desired location to save output files on system and click on Ok button. Being the business analyst I have to move from one place to another due to business purpose and all the time I am not having the internet connectivity on my machine. Therefore, I am planning to move all my Opera Mail data to MS Outlook. However, the problem is I do not know how to perform the migration as I am having a fear of data loss moreover; I am having about 10 GB of data that will consume more time to perform migration. Is there any direct way to export Opera Mail to Outlook? Can I move the data from Opera Mail to MS Outlook in batch? Does integrity of data is preserved in original form after conversion. Are all my attachments of mail also get converted to Microsoft Outlook? Will the software easily migrate attachments along with the emails? What is time estimation to perform the data migration of 10 GB data? Does the utility need any external platform to perform migration of data? Accordingly, it has been found that users often face an issue while moving their data from Opera Mail to MS Outlook from one email application to another. Therefore, there is a software namely Opera Mail to Outlook that makes easy for users to perform the migration of data in few moments only. 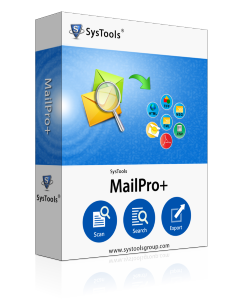 The application supports all Outlook editions both 32 and 64-bit. The application maintains the folder hierarchy after migration of data files. The tool is programmed in such a way that it retains the integrity of data after migration in exact form. Moreover, there is no file size limitation while users move Opera Mail to MS Outlook and no data lost while converting the data files. Does the software require any external application for migration? Does the utility creates Unicode PST after migration? Yes, Opera to MS Outlook tool creates Unicode PST after migration to Outlook. Is it possible to move attachment files along with the emails while we transfer Opera to MS Outlook? Yes, the utility transfer all the Opera Mail emails along with attachments in exact form. Does the application need Outlook installation on the PC to perform migration? No, the software does not require Outlook on the system to perform migration. "Thank you so much for this useful utility. It takes only few moments and converts bulk of my data files to Outlook. The best thing is that it creates Unicode PST file after migration. Opera Mail to Outlook Tool makes easy for users to move the all the data files in batch that makes easy for users as it saves their lot of time. Moreover, the application supports all Windows and Outlook versions to perform the data migration in exact form.